If there's one thing I'd really, really like to learn and to excel at - it's being great in the kitchen. 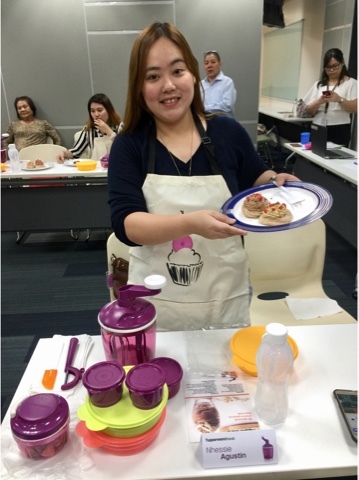 More than cooking delicious dishes for my family to enjoy, I'd also love to become a baker. You see, there's satisfaction in looking at those little cupcakes daintily decorated or those cute cakes that have colorful icings. What more if I'm the one to bake it and show it off to my family and friends? The problem is, I have no baking equipment and I have little patience when it comes to waiting. Baking requires perfect measurements and timing, and I lack those skills. So indeed, you can call me a wannabe. Of course, if you are a frustrated chef or baker, you would need to have tools to use. This is where Tupperware comes in. Since I was young, you will always find a Tupperware product in the cupboard. But then again, since we don't bake much in the house, most of the time, the containers become food storage. 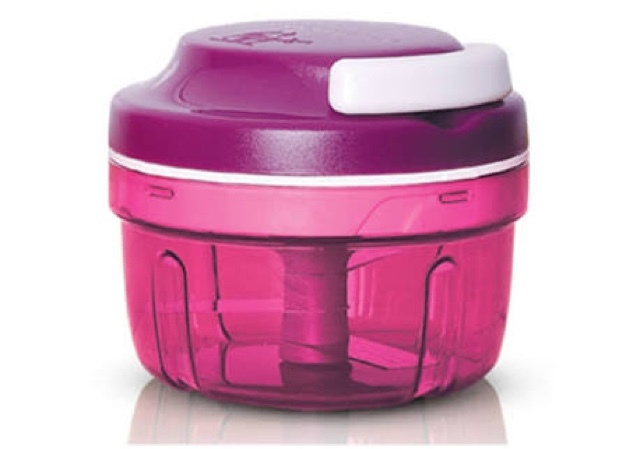 Still, it is an undeniable fact that Tupperware is a kitchen staple you will always find in everybody's kitchen back in the day, well, till now. They used to have mostly yellow containers but today, they come in eye-catching candy colored cuties. You can't help but hoard them! 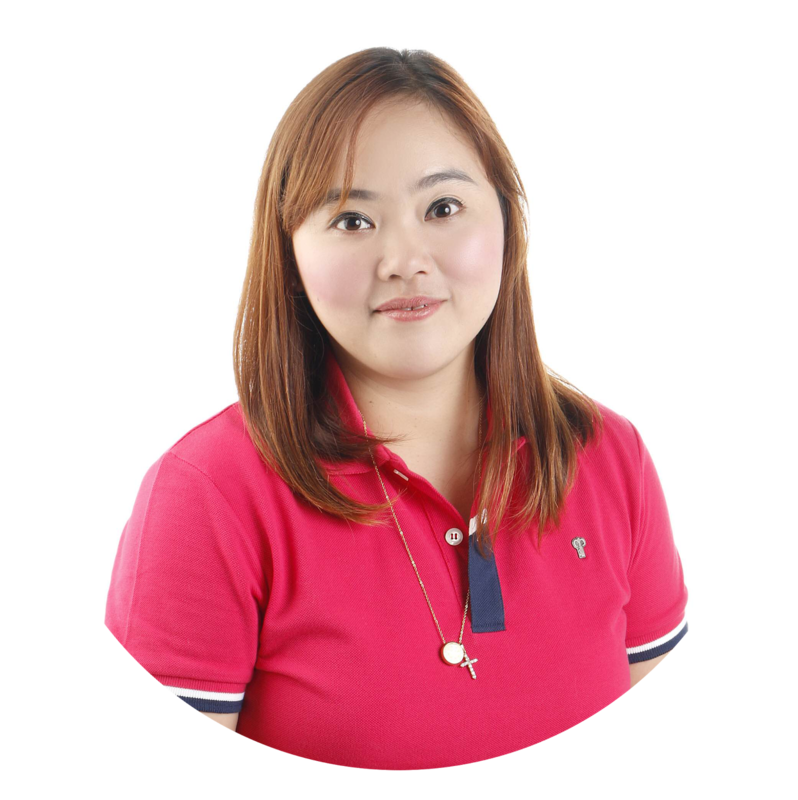 I was one of the lucky Mommies to be invited to the Mommy Bloggers Get-Together held at the Tupperware Brands Ph Headquarters. There we were given a chance to tour around the new place to see all their products housed in a nicely decorated office space. Aside from this, we also took part in a short cooking demo at their beautiful kitchen that is decorated with state-of-the art kitchen equipments. That day, we were asked to participate and experience whipping up the recipe of the day which I will share with you guys! 1. In the Speedy Chef , combine cholled all-purpose cream, cocoa powder, peanut butter and powdered sugar. 2. Whip for 30 seconds until mixture reaches peaks form. 3. In a round keeper, arrange chopped peanut kisses at the bottom as crust. 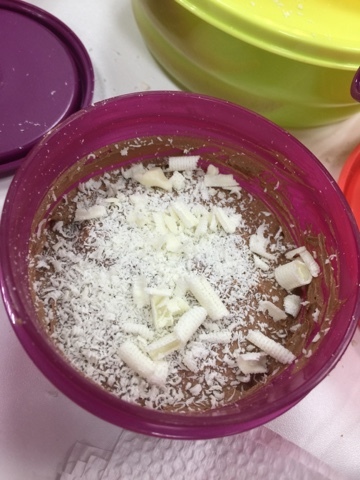 Add choco-peanut mousse and top with shaved white chocolate. Believe me, the picture didn't do this dessert justice because it was delish! 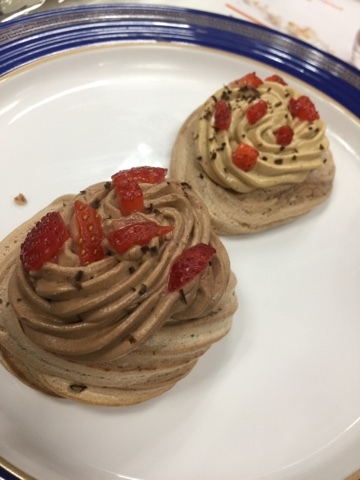 We also created chocolate meringue but I don't have the recipe but with the help of Speedy Chef and Speedy Chopper- they were all a breeze to make! The Speedy Chef for me, since I want things fast and easy, is something I'd like to call the new authority in everyone's kitchen. The Speedy Chef is a whipping and whisking kitchen aid. It beats, whips, and whisks cream, egg whites, pancakes, omelettes, and mayonnaise. This thing is faster and quieter than an electric beater. Prepare whipped cream for decorating cakes and desserts. Add flavourings such as vanilla essence through the funnel. Prepare light pancake batters, omelettes, mousses and other whisked desserts. Prepare light mayonnaise or dips. Remove the cover and whisk in your favourite freshly chopped herbs and flavourings. Prepare wonderfully light sponge cakes, pavlovas and meringues by beating up egg whites in the Speedy Chef. For only P1599, you will get to have this kitchen aid to make your life easier in the kitchen. You will love the color of Speedy Chef too. Such an eye-candy! Another quick sweet that we were aboe to make using the Speedy Chef is the meringue. I don't have the recipe but let me show you a pic. Well, there's another kitchen aid that made creating desserts easier was the Speedy Chopper. And I can shamelessly say that it is my favorite! Specially when you hate chopping..hahaha! The Speedy Chopper is a versatile kitchen aid that can be used for virtually anything! The easy-to-use cord mechanism can shop herbs, small vegetables and fruits. With just a few pulls of the cord, making sauces, dips, jams and purees is now a breeze! 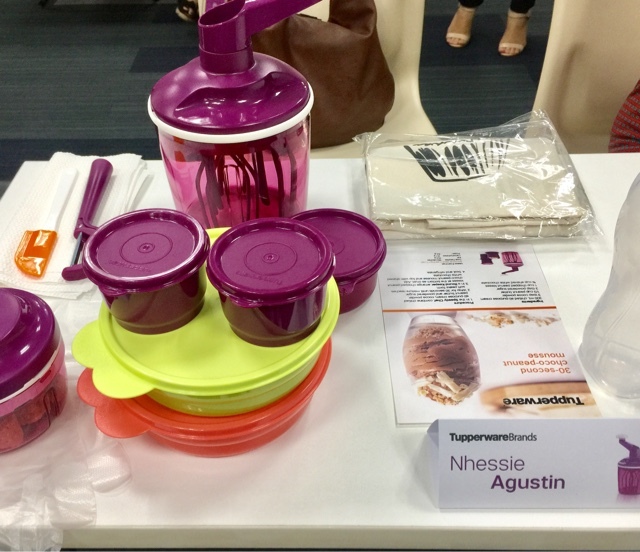 The set of the Speedy Chopper, consists of 3 Everyday Reheatable Bowls, 2 snack cups and 1 mini spatula to make food preparation easy as 1-2-3! Okay, if there's one thing the Speedy Chef and the Speedy Chopper taught me, it's how easy it is to come up with yummy recipes if you have reliable kitchen aids! I super love them! After the demo, they presented to us their Christmas Display at the Hq. 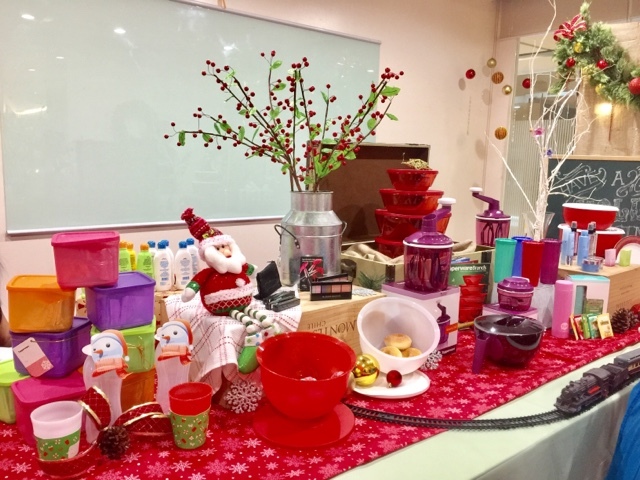 It showcased all Tupperware products that is also inside their Christmas Catalogue. I had a ball looking at them! 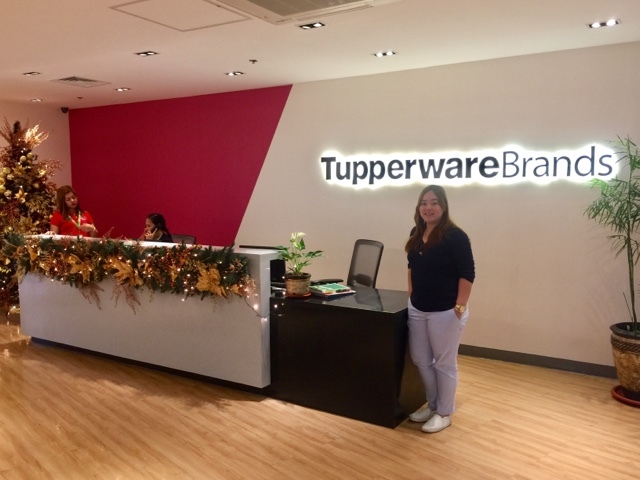 There is more to Tupperware Brands Ph than containers and kitchen aids. 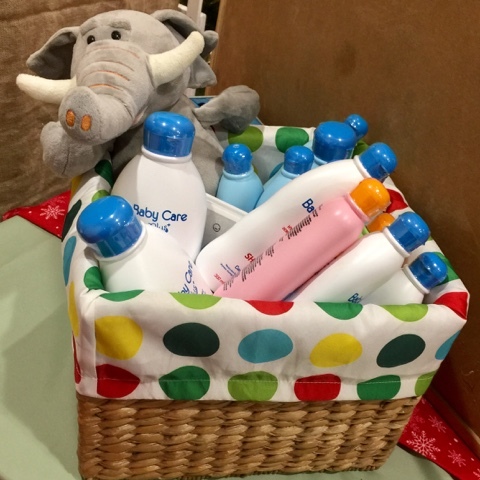 You see they also offer a wide array of products from skincare, baby and toddler products that people at any age can use and enjoy! 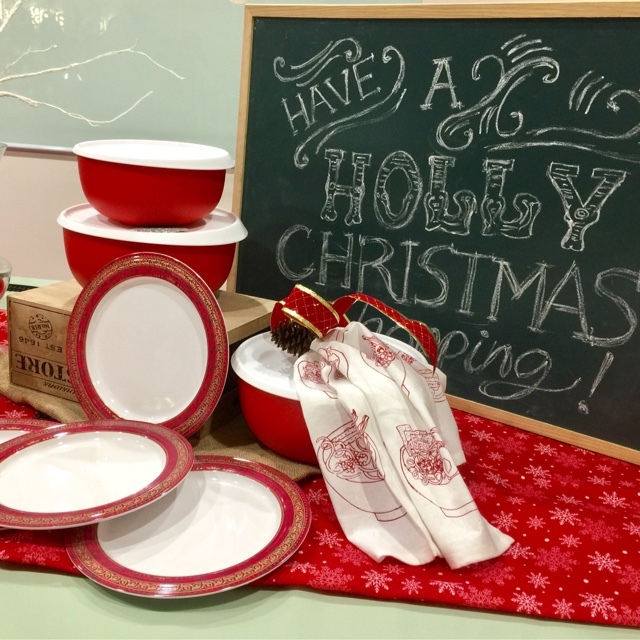 So, I have a suggestion, if you want to make Christmas merry and bright not just in your kitchen but your loved ones as well? Why not get them a Tupperware product? How about you? 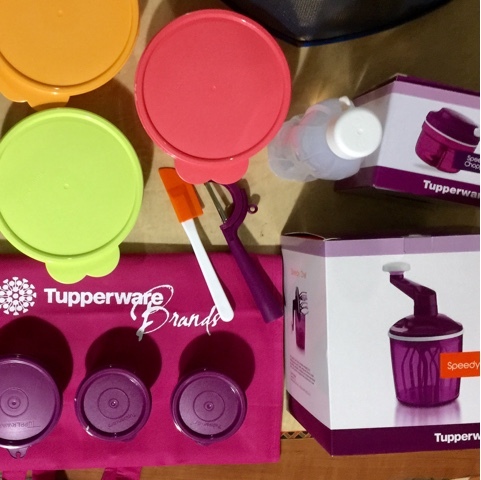 What's your favorite Tupperware product? Lemme know in the comments! Talk to you again soon! 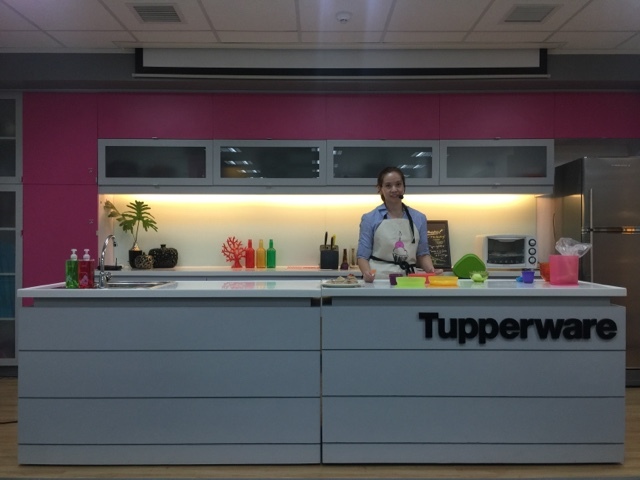 Me at the Tupperware HQ at E-com, MoA.